Welcome to the official third Tropical Skies Pack website! We'd love it if you were to look around and maybe even join the fun! Guests don't have as many rights as the full members do, so what are you waiting for? Jump in! This is the third official Tropical Skies Pack; when Rosaleena returns, Artemis falls dead, what happens next? 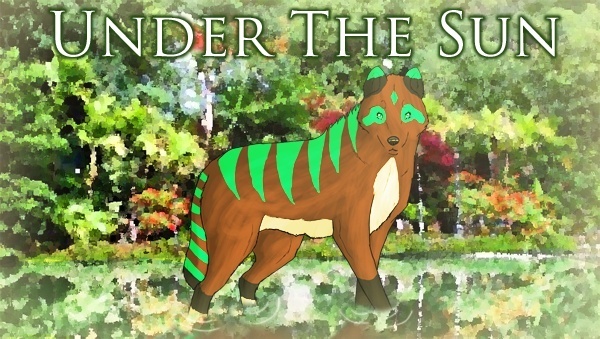 Welcome to the official Under the Sun website! Please keep active on the WQ thread! Reading through the rules is encouraged. Please keep yourself updated within the pack! Our current roleplay season is summer. Rosaleena is the Wahine Alaka'i and the founder of Under the Sun. This is where all the pack rules are posted and the official information and requirements of the pack. Please, read here before posting. This is one of the most important sections on the website; it contains the monthly newsletter, promotions, and so much other stuff! Please keep yourself updated. This is where all the pack's contests and other activities are posted. They're fun and I the staff encourages you to participate! Wanna know more about the pack? It's history? Then come here! It contains the pack ranks, pack info, and much more! If you have a question regarding the pack/forum, come here. We'll try to answer your questions in the least confusing way possible. If your new to the pack, or if this is your very first pack, come here for all the forms, tips, and any other advice. Please listen and respect these posts. All ideas and themes are (c) to the pack unless they say otherwise. Going on EFA? Is your birthday coming up? Leaving the pack? Wanna welcome someone? Then come here! 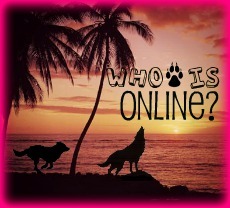 This is where you post your bio and where you can learn about the other wolves you roleplay with. This is where the Loner Gang members may post their bio's. This whole Loner thing is to remember a valuable member, Seaspray/Fire. This is where you may post your shops, share your stories, or show of your art skills! Be creative! Ever wanted to know what a pack member is like behind the screen? Then go here! No giving out any specific info, only general info please. This is where the pack can discus just about anything! But remember to keep things appropriate please. This is where most of the pack's roleplay occurs. It contains many roleplay locations, so go ahead and visit them all! There are many places in Hawaii outside of the pack's territory. Come find them here; guest friendly. This is where all members of the Loner Gang roam. It snows year-round on this mountain, so come here prepared! Of course members of the pack may have their own individual dens in roleplay, so come claim your own! Wanna roleplay something else besides the pack? Then come here and create a topic! No permission required, but the rp needs to get accepted. Guests, this is one of the only places of the website you may post; so go ahead and do so! Guest friendly. This is where you can read information about Hawaiian animals; predators, prey, and where the herbs list can be found. This is where all the locked topics are moved to; sometimes they're fun to read through. This is here to help organize the forums a bit more. Advertize your pack or another pack that you're in. It's also used for keeping track of allies and rivals, and also affiliates.